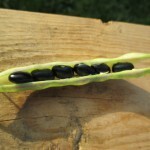 Another superb staple crop is Black Turtle beans. 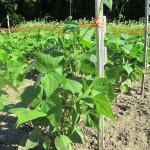 Multi-purpose as they can be harvested young as green snap beans, later as shelly beans, and when mature as a dry bean. Delicious in soups or as refried beans. A key ingredient for black beans and rice, an especially balanced, nutritional pairing, common in Latin America, the Caribbean, and Asia. In Asia, rice would be paired with adzuki beans, black soybeans, or other regional varieties. The seed is planted in the spring after all danger of frost has passed. Plant 1″ deep and 2″-6″ apart in rows or beds. 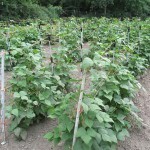 This varietal of Black Turtle bean is considered a half-runner type. The plants will grow 2′ tall and then begin to produce runners (vines). I recommend a light trellis system, 3’tall. Place stakes every 10′ and run twine across the top from stake to stake. 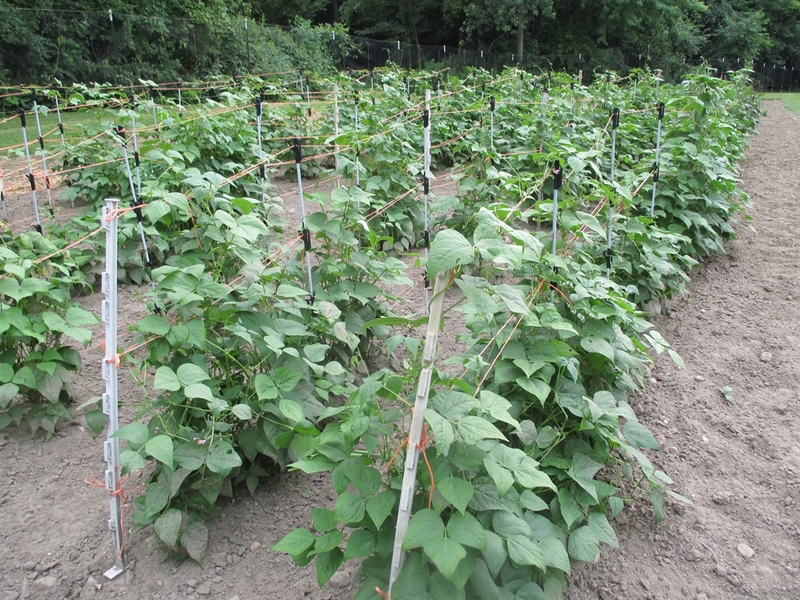 Then simply wind the runners around the twine to help hold up the plant. This will make harvesting much easier. 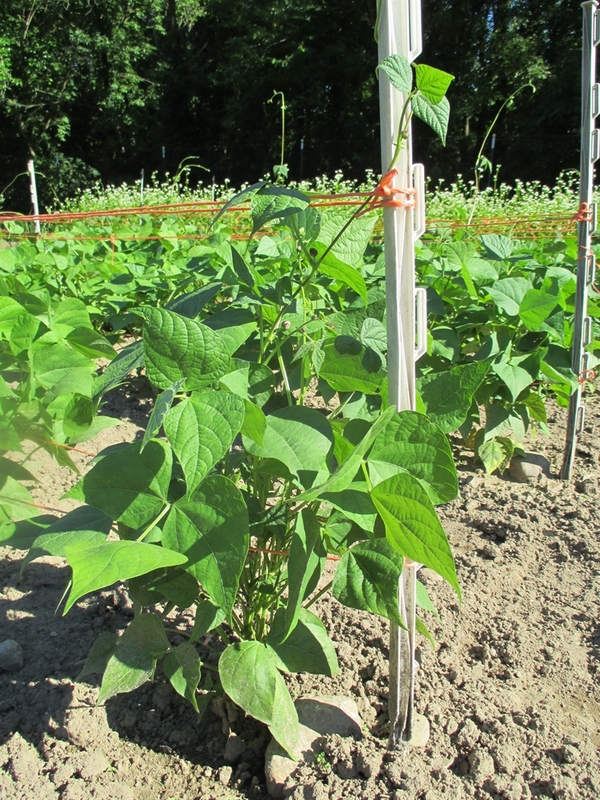 In August you will notice some of the lower bean pods beginning to change to a purplish color. This signals that the pods are nearing maturity. Keep the mature, dry pods (crisp) picked from the plants. Harvest will occur over a period of a few weeks to a month. 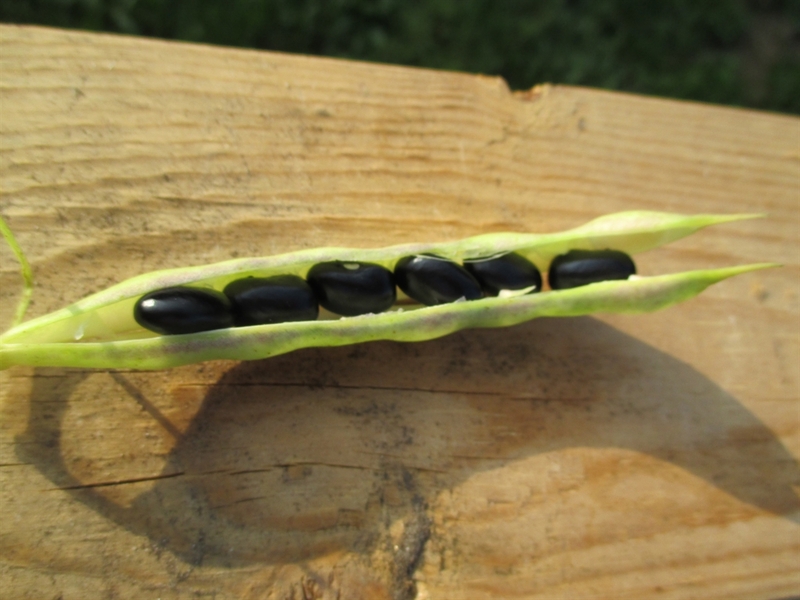 Keeping the early mature pods picked also encourages the plant to continue producing new young pods. 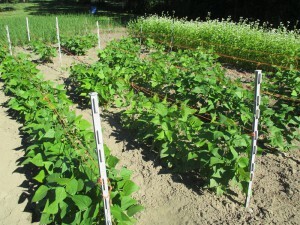 My plants are usually still alive right up until frost; still blooming and making beans. Bring the dry pods indoors to further dry for a few weeks before threshing and winnowing.